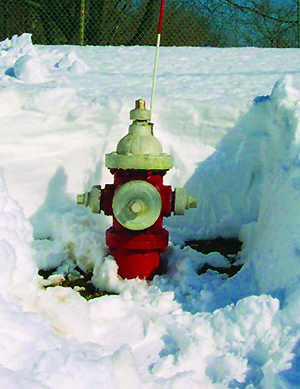 The South Farmingdale Water District (SFWD) is asking local residents to be aware of any fire hydrants that may become buried during a snowstorm or after a snowplow comes through the neighborhood. SFWD is responsible for the maintenance of all 1,250 fire hydrants within our District, a public safety measure often taken for granted. Hydrants require regular painting to remain visible to firefighters. The District also routinely tests all hydrants for performance, inspects them for leaks and flushes them to maintain maximum pressure.